Before the birth of my first son I believed that birth was easy. You go to the hospital, get your epidural, and in a few hours pop out a baby. Of course I had heard the horror stories of long, hard labors and emergency c-sections, but that wouldn't happen to me. I even knew that statistics at the time showed around 25% cesarean rate in our country, but I knew everything would work out perfectly for me. I was naive. I read the typical "What to Expect" book, took the hospital birthing class and tour, and obediently just went along with everything I was told. Because of that I ended up with what has become a "typical" hospital birth. 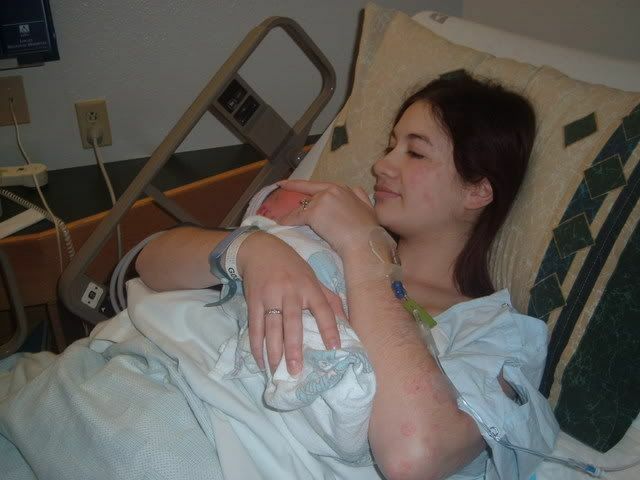 I went into labor on my own a day before my due date, around midnight. I was so excited. I couldn't sleep so I stayed up typing updates to messageboard friends, cleaning and doing laundry, and stopping every 7 or so minutes for contractions. Early labor was easy and I handled it by myself during the night pretty well. When my husband woke up in the morning I told him he'd probably be calling in to work that day, but sent him off to school as it was midterms week. We called our families and my mom said she was on her way. My sister-in-law came over to keep me company while we waited for DH to get home and my mom to get there. We chatted while I folded laundry and kept busy, needing to stop and breathe through contractions. I felt the contractions all in my back, but was able to still handle them alone. Around noon when my mom and DH were there we decided to head in to the hospital, about 5 minutes away. I finished getting everything into my hospital bag and making sure everything was ready for baby. We got to the hospital around 1pm and settled into a room. At 2pm I was checked and told I was 5cm. They asked if I wanted to go ahead and get my epidural and I said sure. I got the epidural around 3pm. I remember how good it felt to not be in pain anymore. At 4pm I was 8cm. At one point my epidural stopped working because the machine had stopped dispensing it, but they quickly got it fixed. At 7:30 I was complete and started pushing. I wasn't sure if I was pushing well because I couldn't feel much, but I remember being so afraid that I might poop on the table so I was kind of holding back. By 9pm there hadn't been any progress. My OB told me we could give it another half hour and then discuss our options. I pushed with all my might but still had no progress. When the OB came back at 9:30pm to discuss things she told me that they couldn't tell what position his head was in so it would be dangerous to try using forceps or vacuum, and she recommended we go back for a c-section. I was so sad, but tired after 2hrs of pushing. 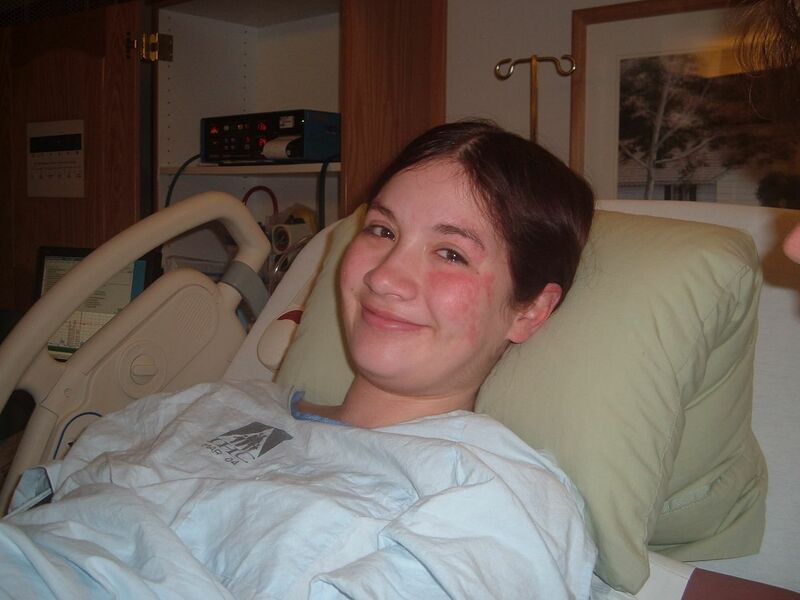 I remember looking to my mom (who has had a c-section) and she nodded and told me I should and it would be okay. 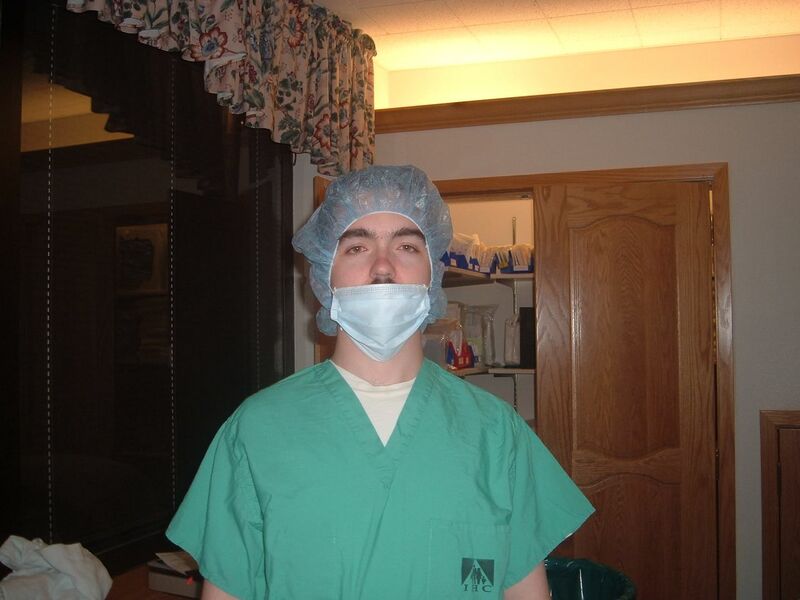 Things quickly changed as the anesthesiologist came in to up my epidural and a nurse shaved my lower belly. DH was given scrubs to put on and I laughed at how he looked. My family (Mom, MIL, SIL and sister) were sent out to the waiting room with rest of the family. I started to cry as they wheeled me back to the OR. I was scared and sad, but I made myself stop because I just wanted to focus on getting to see my baby soon. As they prepped me in the OR I got panicked because DH was not in there yet and I was afraid they'd start without him. I had an oxygen mask on and felt like I was suffocating, I hated that dang thing and had a hard time breathing with it on (kind of defeats the purpose of having it right?) but kept it on like a good girl. Finally they let DH in and began cutting. I was surprised that DH watched the whole thing, because he'd joked for months about fainting while I was in labor. I was actually jealous that he got to watch. I didn't even think to ask them to lower the screen so I could see them pull him out and things had changed so quickly that we'd left the camera in the labor room. After some tugging and pulling I finally heard someone say, "Wow, big head!" and "Lots of hair!". Suddenly I heard my little boy screaming and nothing else mattered. Tears poured down my face as I heard them whisk him to the warmer to clean him up. DH went over to watch while I cried happily and waited to see my son. The only other thing on my mind was how annoyed I was getting that my tears were getting in my ears and I couldn't wipe them because my arms were strapped down. After what seemed like forever, but was probably only 5 minutes, Hubby brought Jason over for me to see. My first thought was Oh good, he's cute! It was shallow but I'd worried about having an ugly baby. He was adorable all wrapped up with his little round face poking out. DH pulled off the baby hat and I was amazed at the thick black hair my little boy had. He was still crying so I started saying, "Shhh, it's ok. It's ok." To my amazement he stopped crying at the sound of my voice. The oxygen mask was (finally!) taken off so I could give him a kiss and an arm was unstrapped so I could reach up and touch his face. DH went with them as the took my little boy to the nursery to bathe and weigh. I hated having them away from me as I lay in that cold bright room getting stitched up. I was wheeled to a recovery room where I was left alone. Occasionally a nurse would come check on my vitals and make sure I had warm blankets. At one point another surgery patient was brought in to recover and wake up from general and at least I wasn't alone anymore. Finally around 11pm my OB came in to see me. She said everything went great and my baby was nice and healthy. She called over to the nursery to get his stats for me- 8lb 15oz and 20" long. What a healthy big boy! 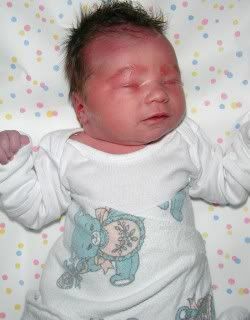 I was then wheeled back to a little postpartum room (seriously they were tiny) and waited anxiously to see my baby. My mom came in and waited with me, telling me how they had all seen my little boy as he was taken to the nursery and how proud DH was. I was so impatient, wondering what was taking them so long to bring my baby to me. Finally, finally, around 12:15am DH came in with Jason. He was handed to me and I just stared at his perfect little face and talked to him. I was in love right away. My mom helped me get started nursing, and I was relieved that he seemed to catch on quickly. Right from the start he nursed like a pro. As exhausted as I was from being up for 2 days and going through 22hrs of labor and pushing and major surgery, I did not sleep well. They had Jason room-in with me and he woke up a lot and because I still couldn't move I had to keep yelling for DH to wake up and bring him to me. And between Jason waking up I had nurses coming in every few hours to check on me and the baby. The first night was rough, but I was still so happy every time I had my little boy in my arms. To come- the recovery, physical and emotional.